KweséESPN Reporter has confirmed the reports that Sunday Faleye has been ruled out of the African Nations Championship due to an arm injury. 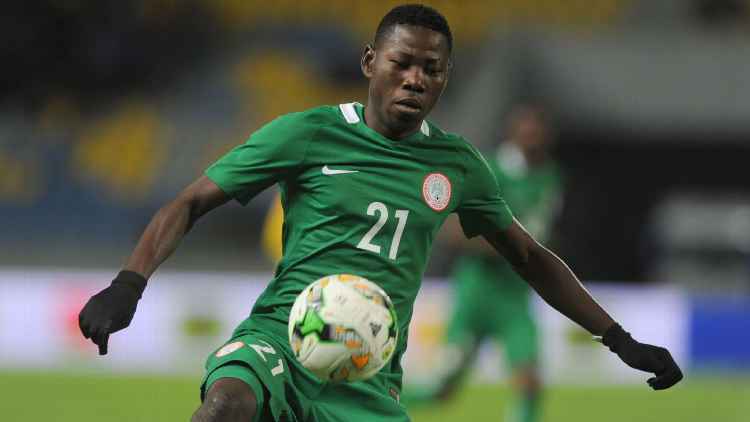 The Super Eagles player, who is 21-years-old has been one of the most impressive performers at the ongoing CHAN, adapting quickly to international football despite his inexperience and representing a key attacking threat in Nigeria that has occasionally struggled to ignite. Despite his injury, Faleye has told KweseESPN that he's positive after his encouraging tournament. He scored the only goal of the game as the west African giants beat Libya in the second half of the match, but confirmed that his tournament is over after sustaining injuries against Angola in Nigeria's quarter- final triumph. The attacker fell awkwardly under pressure from an Angola Defender in the quarter final clash, as the team left Kenzi Solazur Hotel yesterday, the striker was sent sporting a sling on his right arm. Nigeria will meet Sudan in the second CHAN semi final on Wednesday, with Morocco hosting Libya in Casablanca earlier in the day.